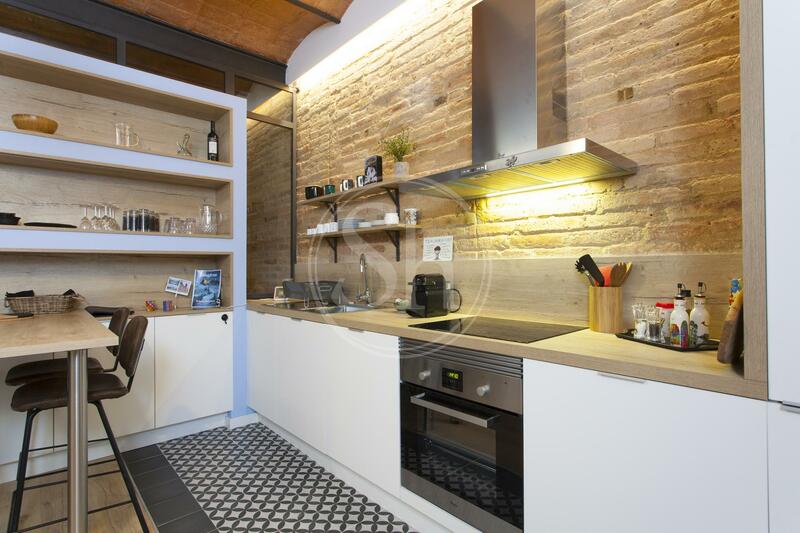 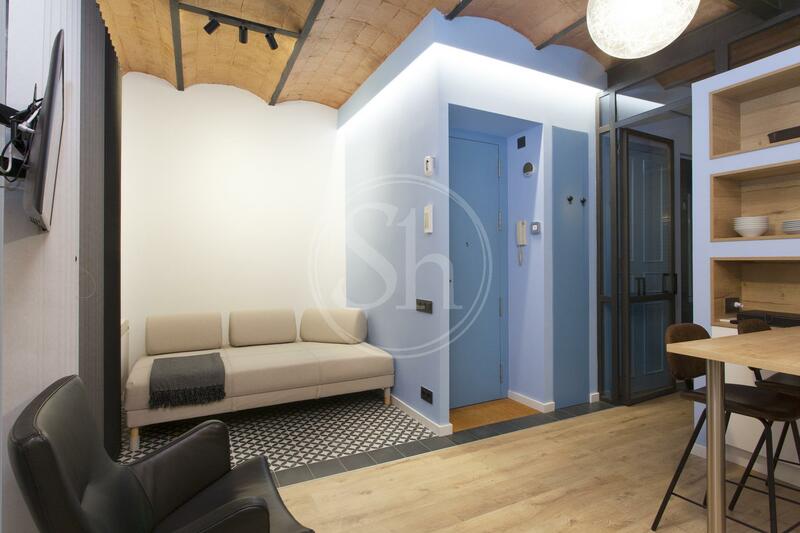 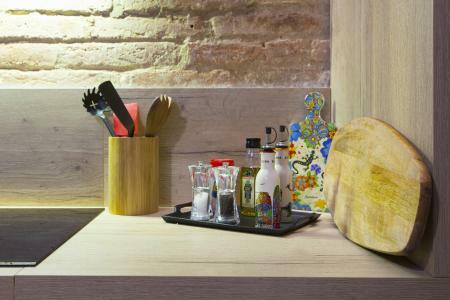 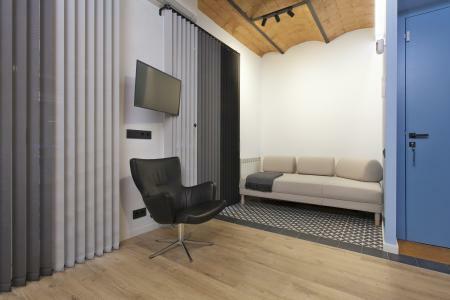 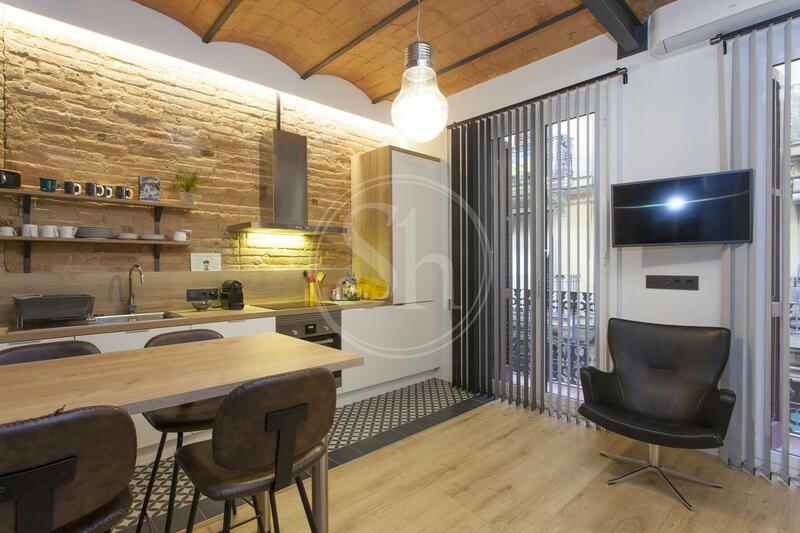 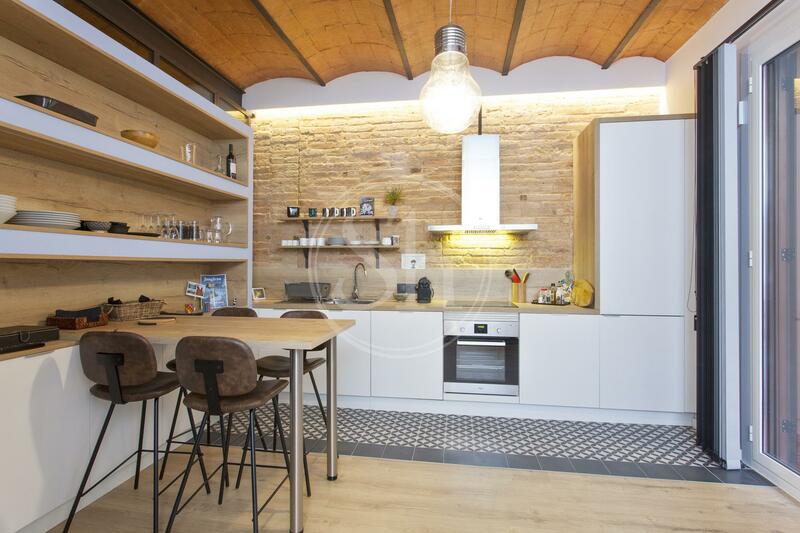 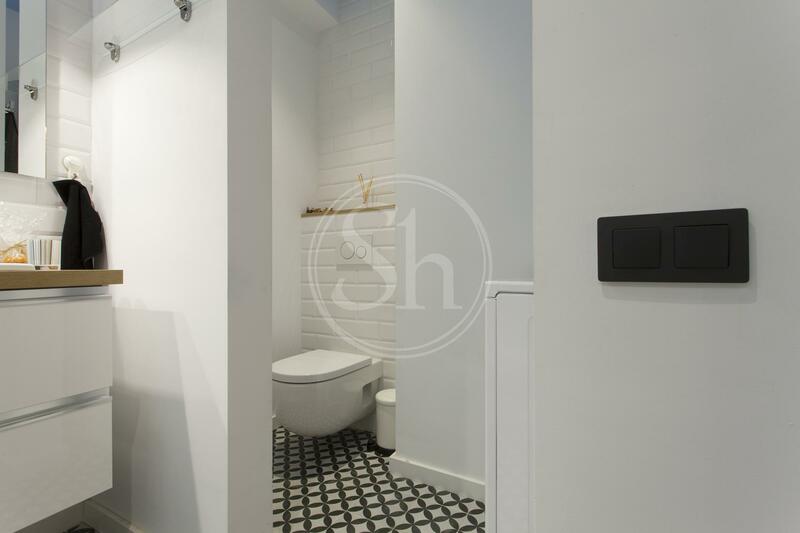 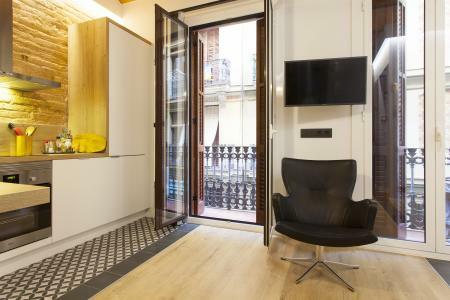 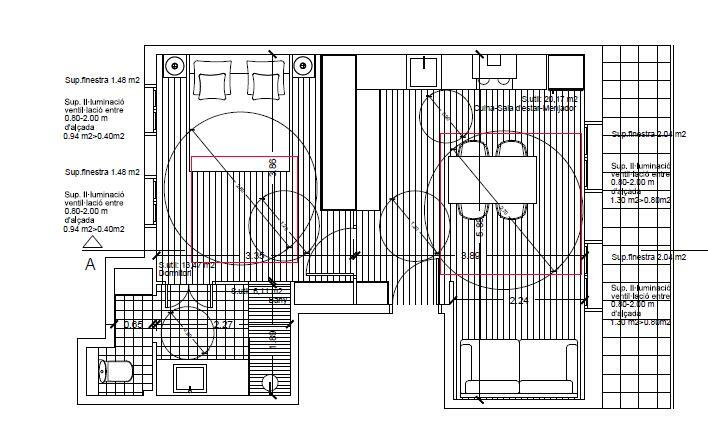 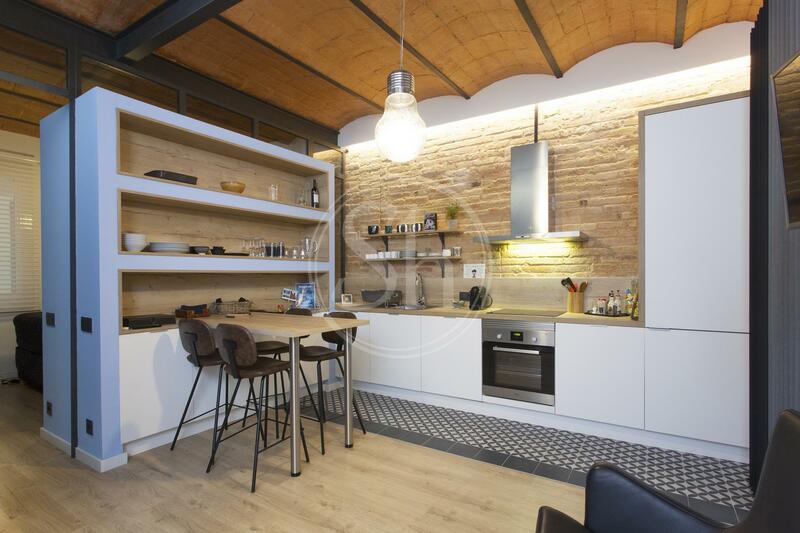 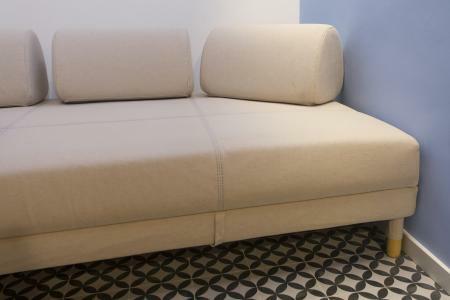 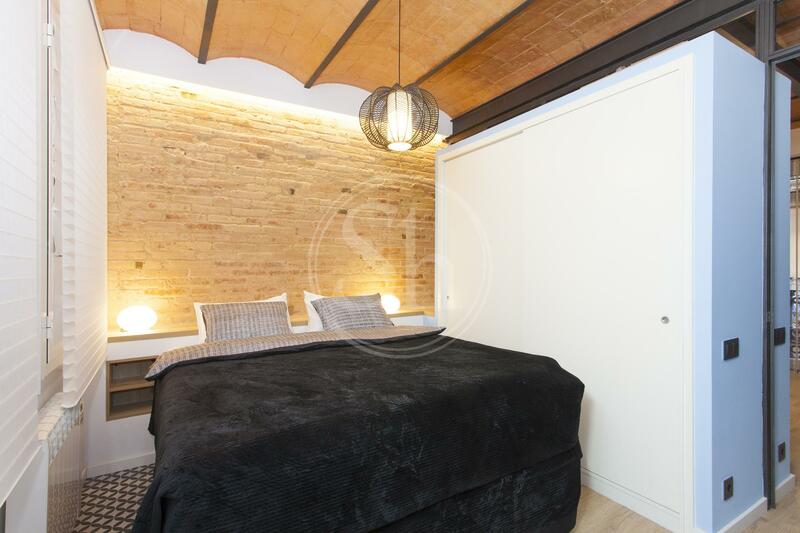 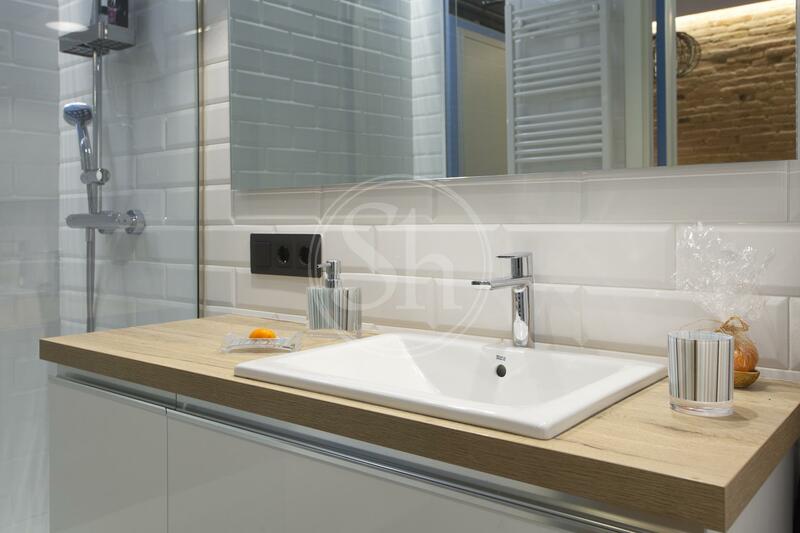 The perfect flat available for rent that would suit digital nomads, students or couples looking to spend a temporary period of no more than eleven months in Barcelona. 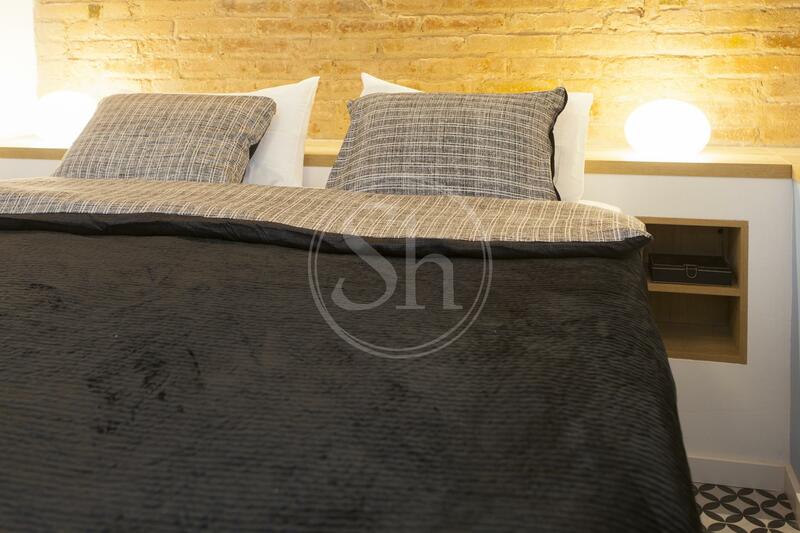 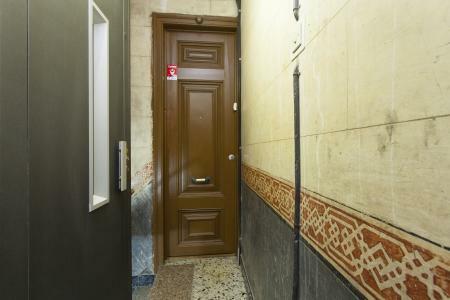 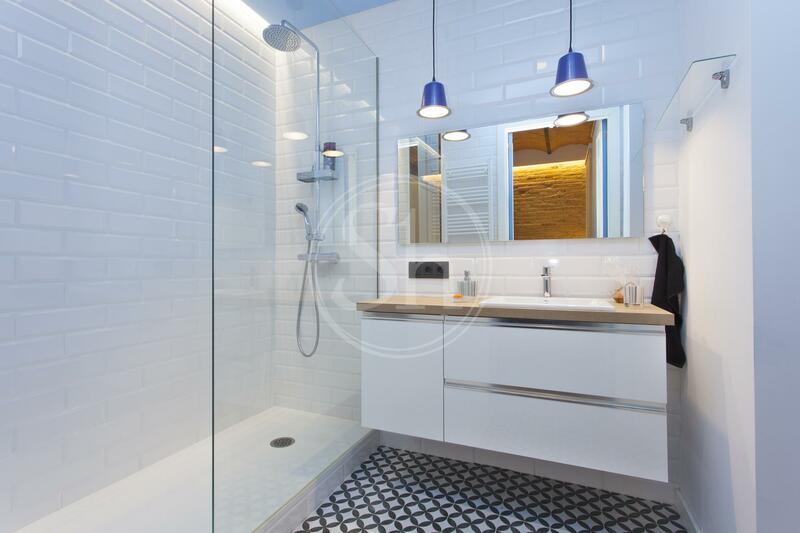 The property is located in the Ciutat Vella, specifically in the neighbourhood of Barceloneta, on Carbonell Street, between the port and Ronda Litoral. 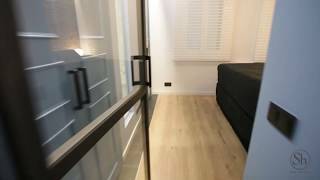 It has a double bedroom, a modern bathroom, fully equipped kitchenette, dining room, living room with sofa bed and balcony. 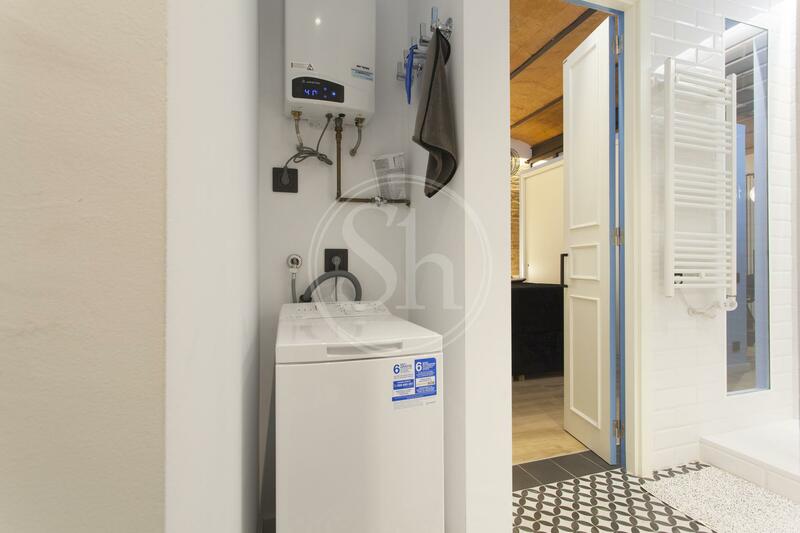 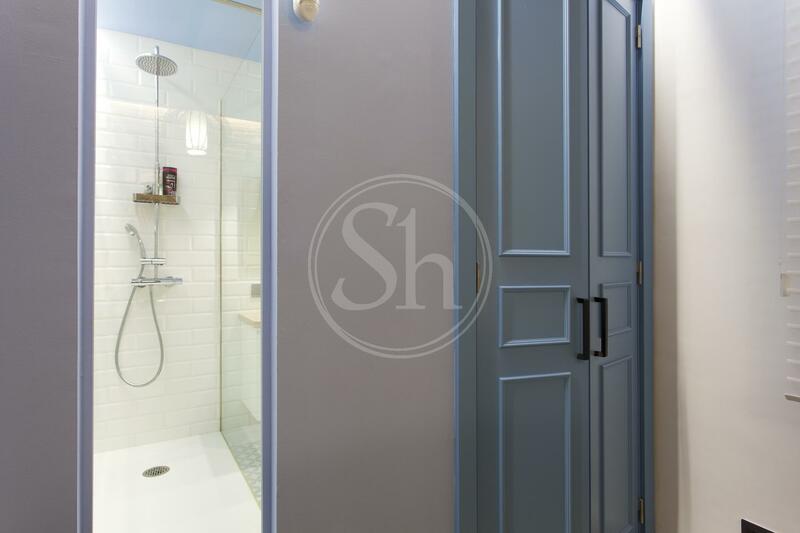 Including air conditioning, heating, television and internet which are included in the price. La Barceloneta is one of the most popular neighborhoods in the city, full of history and charm. 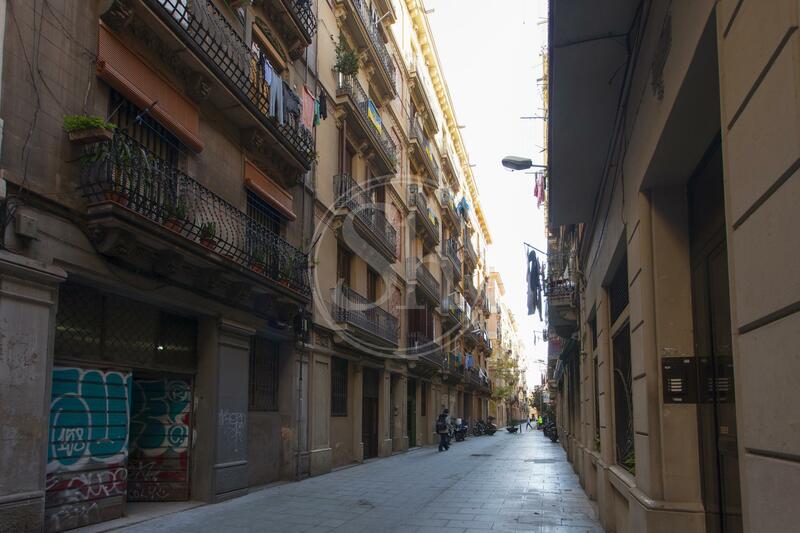 This area is filled with the character of being a seaside neighbourhood, its greatest attraction is its beaches, providing a warm atmosphere and the unique chiringuitos (beach bars) found here. 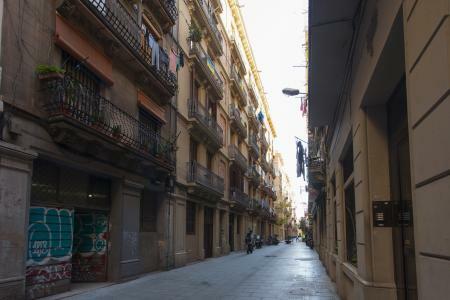 Where there are also many places of interest such as the Museum of History of Catalonia and the Port Vell where the Maremagnum Shopping Centre is, somewhere you can shop and go to the cinema. 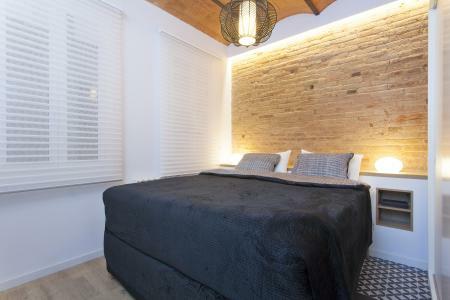 This district is full of all services and a range of activities, there is plenty of fresh seafood in the local restaurants to enjoy and sitting in any of the bars or terraces is a wonderful way to spend some time. In the vicinity, you will find gyms, paddle centres and coworking spaces. 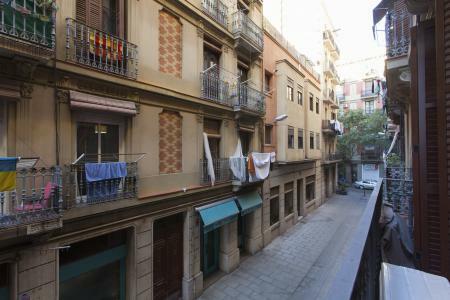 There are public transport connections in the area the closes is Barceloneta L4, as well as several bus stops. 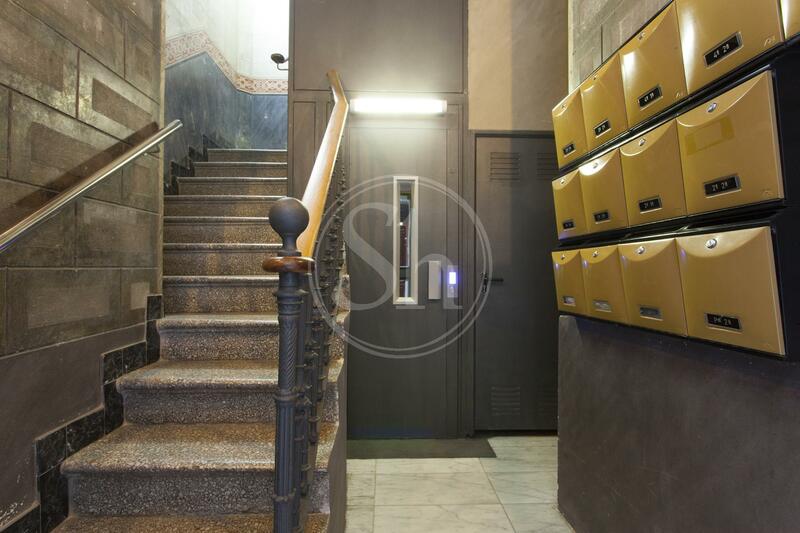 From this location it is only a 10-minute walk to Estación de Francia.